A quick mention for three titles by three favourite crime/suspense authors . Detective Mick Kennedy is all about control - everything he does is designed to show he is in charge. The seaside community of Broken Harbour holds happy memories of childhood holidays.......it also holds some of his worst memories. Now called Briansville it is an abandoned, half-finished property development that became a victim of the economic crash. When a family is discovered attacked and left for dead in their own home Mick Kennedy and his rookie partner are sent to catch a killer. 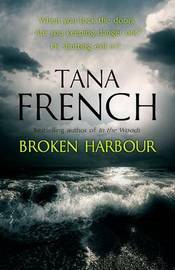 Tana French follows her standard format of bringing forward a minor character from a previous novel and placing them in the limelight. It works very well , allowing the combination of police procedure and the investigation of a murder with the psychological study of deeply flawed characters. Wonderfully vivid and atmospheric prose, a dark and intense story of broken dreams and shattered lives - loved it! 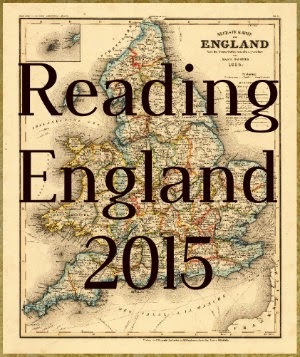 Fantastic reading! At the height of summer a dark shadow falls across Exmoor. Children are being stolen. Each disappearance is marked only by a terse note - " You don't love him." Policeman Jonas Holly faces a precarious journey into the warped mind of the kidnapper if he's to stand any chance of catching him. But - still reeling from a personal tragedy - is Jonas up to the task. 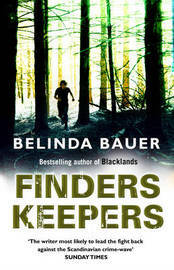 This is Belinda Bauer's third crime thriller set in the village of Shipcott and as many of the characters are recurring I would suggest reading this series from the beginning. The plot is inventive and suspenseful but it is the humour that really makes these books stand out from others in this genre. The events of the previous two titles are constantly referred to which can become annoying and I would like to see Belinda Bauer move away from this setting now. Former police inspector Harry Hole has returned to Oslo after three years in Hong Kong and requests permission to investigate a homicide case the police already consider closed. Harry has a personal interest in the young man presumed guilty and very soon finds himself entangled in the corruption of Oslo's drug world. 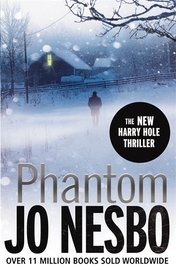 With its central theme of drugs and the damage and heartache they cause Phantom has a more serious tone than some of Jo Nesbo's 'killer thrillers' but is no less of a page turner. Gripping, compelling and with a completely unexpected twist at the end it's a powerful read and completely lived up to my expectations. Have you read Tana French's others? How'd you feel BROKEN HARBOR stood up to those? 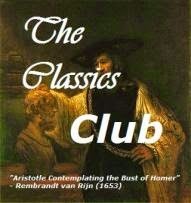 I've read and enjoyed them all. I think Broken Harbour holds its own well although Faithful Place is my favourite.